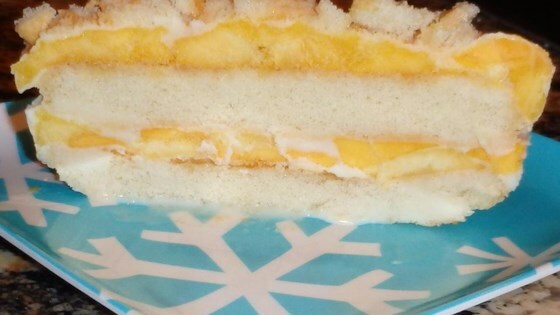 "Mangos, cream, and ladyfingers are a match made in heaven for a totally enjoyable tropical dessert." Whisk together the sweetened condensed milk and cream. Set aside. Arrange 10 ladyfingers in a 7x11 baking dish; layer about half of the mango slices on the ladyfingers. Pour half of the milk mixture over the mangoes and ladyfingers. Repeat layering. Sprinkle ladyfinger crumbles over top. Cover dish and freeze at least 4 hours. This is one of my very favorite desserts - it's wonderful! It's definitely not 24 servings, probably more like 12 small servings.